Didier Rémy and Jérôme Vouillon. On the (un)reality of virtual types. Work in progress, available from http://pauillac.inria.fr/~remy/, 2001. Mads Torgersen. Virtual types are statically safe. 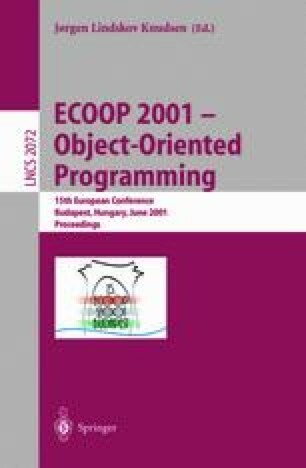 In 5th Workshop on Foundations of Object-Oriented Languages (FOOL), at http://pauillac.inria.fr/~remy/fool/program.html, January 1998. Mjølner Informatics, Århus, Denmark: http://www.mjolner.dk/.